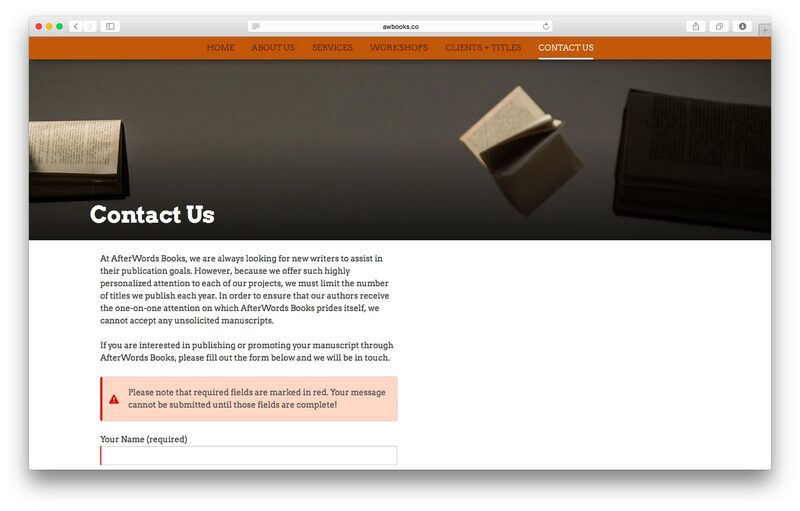 A publishing group helping new writers needed a new website. 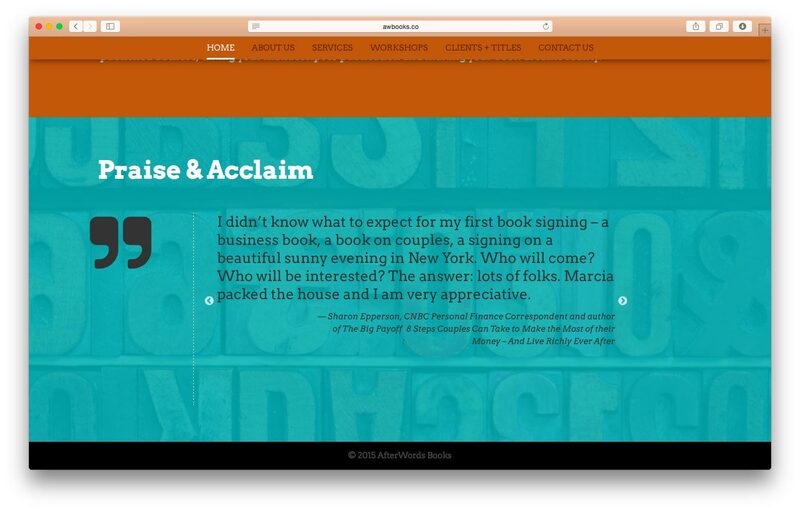 Their old website was broken, and needed to be totally overhauled. 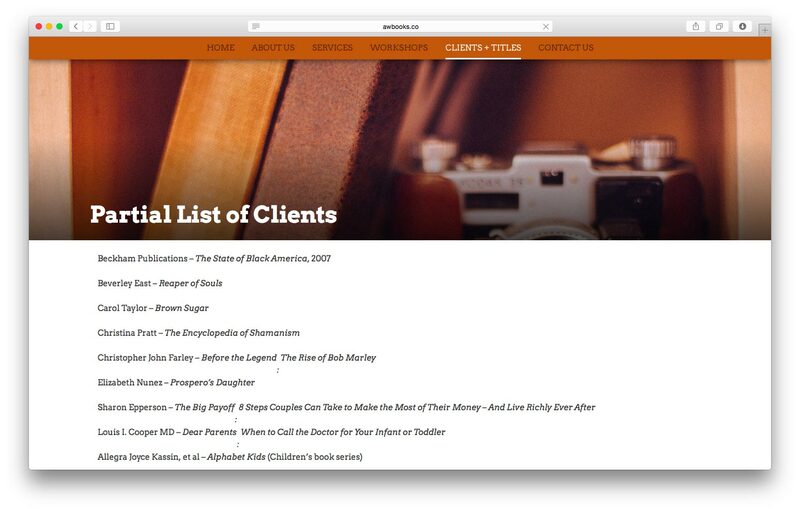 They needed a website that would impress potential clients, and was user friendly and simple to maintain. 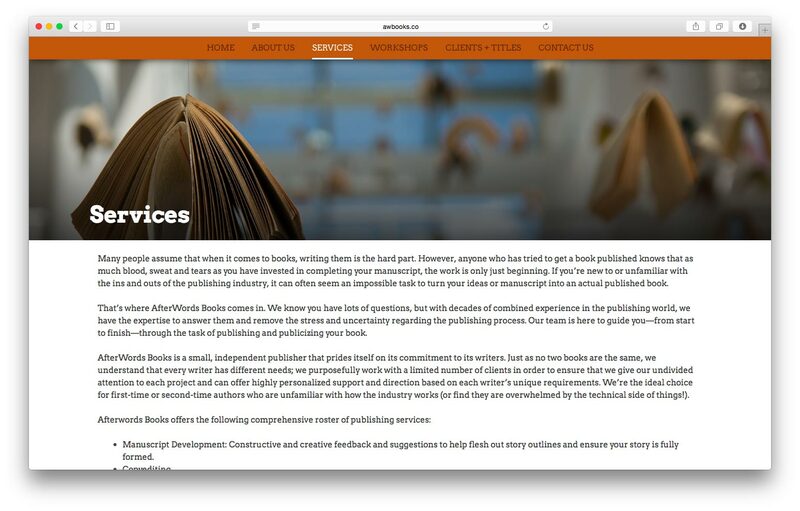 The brief was simple: a beautiful website that was easy to update and would let clients get in touch with the publishing company. 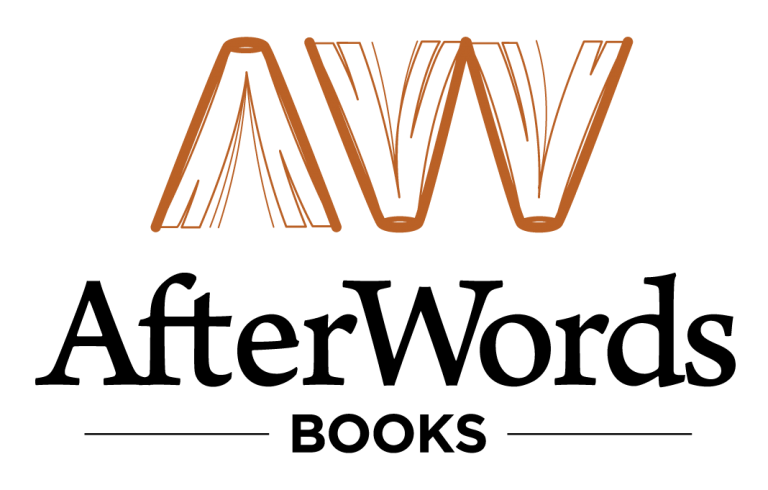 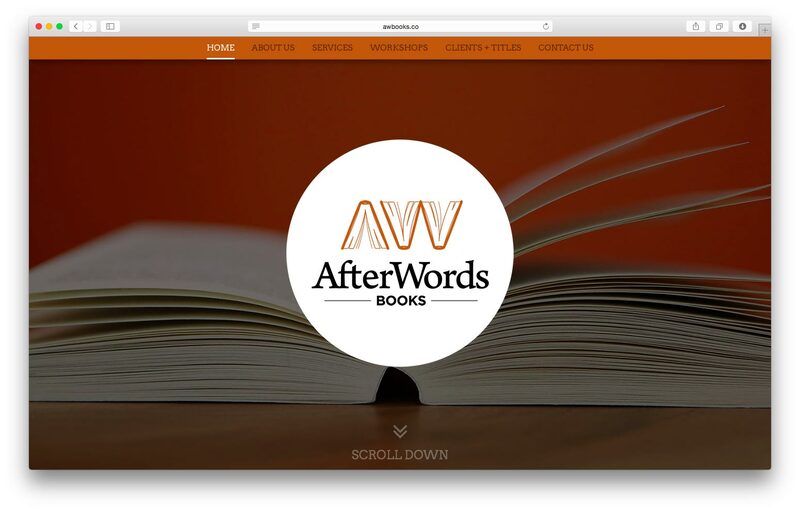 They needed a new logo to match the new website, so we designed both for them, unifying the branding and giving AfterWords books a new identity.